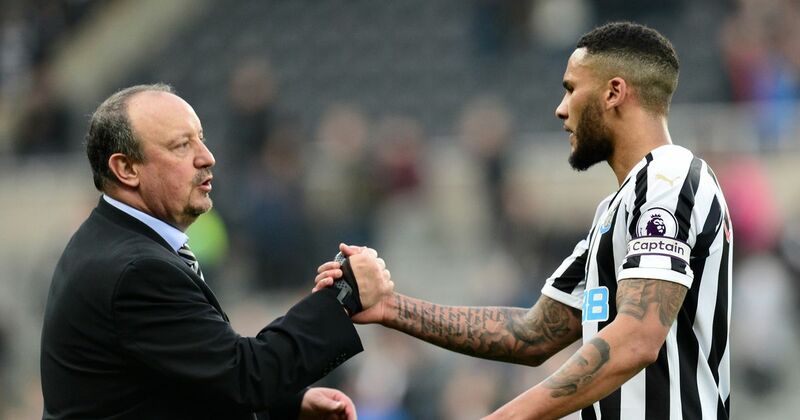 Newcastle United: Premier League Campaign to Go Better Than Expected? Preseason at Newcastle United was a turbulent time, with many ups and downs. There was early investment in the squad by owner Mike Ashley, who was able to bring in Yohan Cabaye, Demba Ba and Sylvain Marveaux early on, but many fans were upset by the loss of influential captain Kevin Nolan to West Ham, in what appeared to be a disagreement over the length of a potential new contract, with Nolan wanting five years, but the club only offering him two. Nolan's departure caused some of the squad displeasure, with key players Joey Barton and Jose Enrique, already disheartened at the January departure of striker Andy Carroll, saw Nolan's departure as a lack of ambition from the owner and the club's board, with both Barton and Enrique venting their opinions on Twitter. Then followed July, which was very turbulent for the Toon. Three preseason matches were played in the USA, but the occasion was marred by the fact that Cabaye, Barton and Nile Ranger were all denied visas to enter the US. The first match was against MLS side Kansas City. The game ended a goalless draw, but was most notable for an ankle injury to key player Hatem Ben Arfa, who was just returning from a different injury. He has only just returned to action. Defender Danny Simpson had to leave the preseason tour to return to England, as his partner was about to give birth. With the squad depleted and uninspired, Newcastle lost 1-0 to USL side Orlando City. The searing summer temperatures at the time definitely didn't help the side from the north of England. There were more visa issues for Newcastle, as midfielder Chieck Tiote was not allowed back into the UK, the player having to train alone in Ghana before being able to return to Tyneside. After a defeat to Championship team Leeds came the home friendly against Italian side Fiorentina, which was postponed after 63 minutes when torrential rain made playing conditions almost impossible. Enrique's summer of displeasure at Newcastle was ended when he was sold to Liverpool. The apparent lack of ambition, plus the fact he didn't want to renew his contract meant that he had to be sold, or he could have left next year for free. The August additions of Gabriel Obertan and Davide Santon were positives, but overall, preseason was not viewed as being a success. The team and fans could have been forgiven for not being inspired for the opening game of the season, a home tie against Arsenal. But despite all that had happened, there was still one advantage the team held. The team spirit was still there, they still had the fire and ambition to play well for the fans and each other, not as individuals, but as a group of 11. Newcastle went on to draw 0-0 with Arsenal, a deserved point for the Toon. Then came the early challenge of the Tyne-Wear derby against rivals Sunderland, defeat in this match would determine how the season would unfold, victory important for team morale, as well as local bragging rights. Newcastle went on to win 1-0, a stunning Ryan Taylor free kick winning all three points for the Magpies. Barton was then allowed to leave, his criticism of the board sealing his fate. He signed for QPR in a free transfer. Many fans saw this as a bad thing, as Barton had been very influential in the dressing room and on the pitch, but his behavior was also at times disruptive. After a home win against Fulham, Newcastle then traveled down to London to face Barton and his new side, coming away with a draw. Newcastle were outplayed by QPR, but came away with a point thanks to a strong defensive performance. Two hard-fought victories in the League Cup combined with a well-earned away draw to Aston Villa and yesterday's home victory against Blackburn have left the Toon in fourth in the league and into the last 16 of the League Cup. It is still early in the season, but if you had asked any Magpie at the start of the season if they thought this was achievable, they probably would have thought you were crazy. How has this all been possible? Despite not being universally liked by the fans, manager Alan Pardew has done a good job to keep team spirit and confidence up. Unlike previous Newcastle sides, there is no big-name megastar players, with all first team and reserve players all fighting for the same cause, as opposed to individual success. New players like Cabaye, Marveaux, and Ba have combined with their new colleagues like Tiote, Leon Best, and captain Fabricio Coloccini to be unified as all good teams should be. So often in modern football it's all about the star individuals, but it is not like that at Newcastle. Last season, a Newcastle team with Carroll, Nolan, Barton and Enrique lost at home to Blackburn, but this season a team without those players managed to win. With Dutch goalkeeper Tim Krul getting better with each match, the impressive form of Coloccini and Steven Taylor in defense, the tight midfield, the improving form of Best and Ba and the gradual return to form of Ben Arfa, if everything stays as it is on Tyneside, this could be a very good season for Newcastle United.